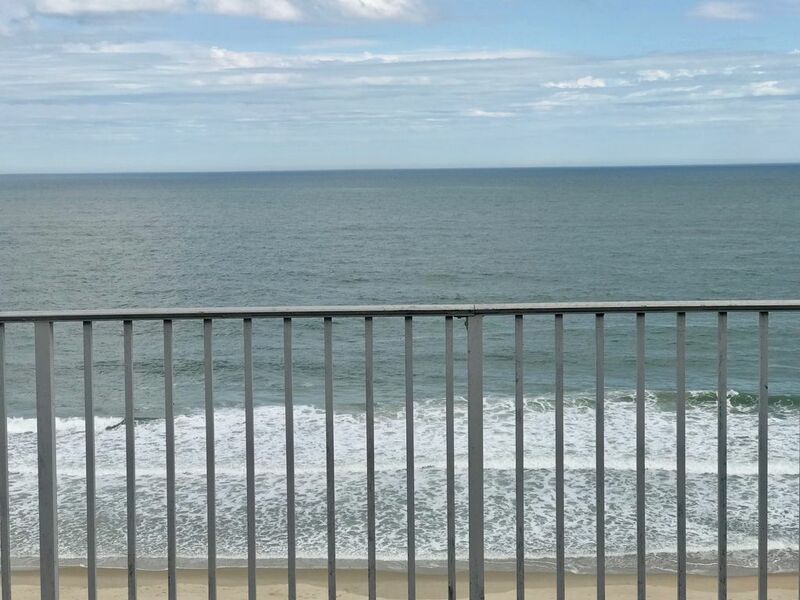 Picture yourself having your morning coffee on the balcony watching the sun come up and the dolphins playing in the Atlantic. After a day of sunbathing & swimming, you can retire to the master bedroom balcony and watch the beautiful sunsets. FIRST FLOOR: This two story (eighth and ninth floors) penthouse in The Oceana is ocean front. It has a 24 foot by eight foot open balcony overlooking the beach. The living room has a cathedral ceiling and 22 feet of glass looking out on the balcony, with two sectional sofas, Flat screen TV, . There is a kitchen, dining room, laundry room, bedroom with 1 Queen and 1 double bed with flat screen TV, and a newly renovated full bath. WE RENT TO PEOPLE 25 YEARS OLD AND OLDER ONLY!!!!! Ruth & I are self employed and live in central Pa. and we have enjoyed the rental business since 1993. I am currently VP of the condo board and we work hard to keep our condo in the best possible condition. Ruth & I do our best to upgrade part of our condo every year. This winter we are redoing the downstairs bathroom. Downstairs bathroom has been completely redone this winter. Upstairs bathroom has double vanity and large shower.